>Graph-o-matic: The Mets Infield Defense. Here you go, visual learners! 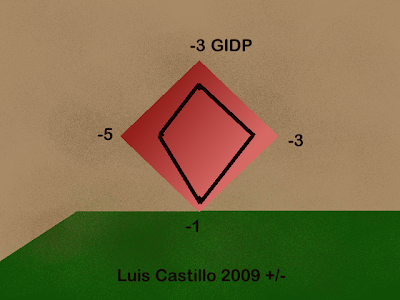 I already had the Luis Castillo and David Wright +/- charts made, so I made ones for the 2010 Mets starting infield. 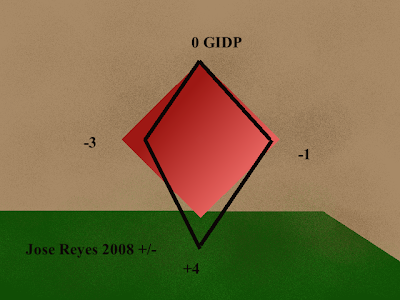 The plus/minus data is just for 2009, or in Reyes’ case, 2008, so small sample size warnings abound. This is in no way indicative of the player’s true defensive skill – it simply demonstrates how that talent was previously applied in 2009. The pictures make it all easier to process. Remember that pop-ups are not charted for infielders, so this is essentially just their ability to field groundballs. 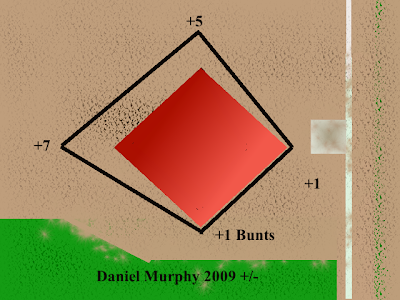 Left and right are each players left and right, behind the corner infielders represents balls hit directly at them, while in front of them represents bunts. Behind a middle infielder represents double plays, while in front of them represents balls hit directly at them. 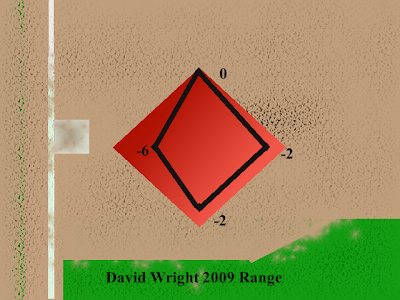 I’m messing around with ways to represent the outfielders, but that’s mostly done. I’ll post those later today or tomorrow.